The Pulmonary Hypertension Association has designated the Pulmonary Hypertension Center at the University of Virginia Heart and Vascular Center as a Center of Comprehensive Care. 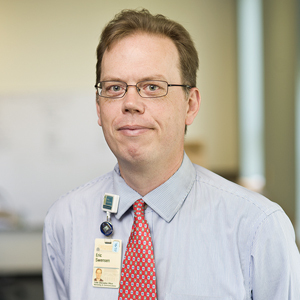 “We are honored to be recognized for our team’s work to provide the full range of care to meet the complex health needs of our patients with pulmonary hypertension,” said UVA cardiologist Jamie Kennedy, MD. Pulmonary hypertension, or PH, is high blood pressure in the lungs. Over time, it causes heart failure, debilitation and death. The symptoms of PH can include shortness of breath, dizziness and fatigue. Because these symptoms can mirror more common and less-threatening illnesses, patients can go years without being accurately diagnosed or may be misdiagnosed as having other illnesses such as asthma or COPD. There are risk factors that make some people more likely to get PH, but the disease affects men and women of all ages, races and ethnic backgrounds. The best treatment strategy depends on what caused PH in a particular patient. “There is an urgent need for medical institutions to accurately diagnose, treat and provide support for PH patients,” said UVA pulmonologist Andrew Mihalek, MD. Centers of Comprehensive Care such as UVA “provide comprehensive PH care with well-organized systems, services, facilities, highly trained and experienced physicians and PH team members, with emphasis on quality,” according to the Pulmonary Hypertension Association. Following their site visit, surveyors from the association praised UVA’s cohesive multidisciplinary care team, including a dedicated genetic counselor and palliative care physician. “Our hope is that the PHA accreditation raises our profile to help us better connect with healthcare professionals throughout our community and ensure that more people living with PH receive the right diagnosis early and accurately and that they will get the very best care available,” said UVA cardiologist Sula Mazimba, MD, MPH. UVA coordinates care for patients at a dedicated Pulmonary Hypertension Clinic. Cardiologists and pulmonologists collaborate with dedicated nurse coordinators to provide comprehensive medical care. Consultation with specialists in rheumatology, interstitial lung disease, heart valve disease, congenital heart disease, lung transplantation, palliative care, genetics, and nutrition are coordinated through the clinic to provide comprehensive and convenient care.